At Shine Dental we offer a wide range of treatments, from general Hygiene & Prevention to more cosmetic procedures such as Veneers & Whitening. Modern dentistry makes it possible to design the perfect smile makeover for everyone. 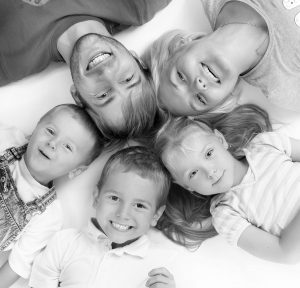 We begin by discussing your past dental experiences and medical history. After a smile survey we perform a detailed examination and take x-rays. Following this we can formulate a plan and explain procedures with the help of our state-of-the-art computer programmes. If you have a fear certain dental procedures, we will make your experience as comfortable and stress free as possible. Treatments will be performed at your pace and you can even listen to music of your choice or watch a DVD with our noise cancelling headphones. Smile Makeover Ashton and Smile Makeover Ripponden. Our Smile Makeover commitment to you is that we will always provide the very best advice and care to ensure you have a smile to be proud of. Search for Smile Makeover Ashton, Smile Makeover Ripponden, Smile Makeover Oldham and Smile Makeover Sowerby Bridge and you will discover that Shine Dental leads the way in corrective and cosmetic dentistry. Do everything we can to make your smile makeover treatment and journey with us as relaxed and comfortable as possible. Offer you convenient ways to pay to make your dental care affordable. Devote sufficient time to ensure every patient feels looked after and understood. Provide expert advice and comprehensive modern dental care in state‐of‐the‐art premises of the quality that we would desire for ourselves and our families. Endeavour to find time to suit your lifestyle and commitments. Guarantee our work where appropriate (terms and conditions may apply). Invest constantly in keeping up‐to‐date with the latest dental techniques and technology to ensure we constantly improve. Maintain the highest standard of sterilisation and cross‐infection control in the practice. Use only proven, safe and bio-compatible materials and techniques. Try to run on time wherever possible. Arrive on time for their appointments. Follow our instructions and advice to care for any dental treatment carried out. Attend regularly for check‐ups and hygiene visits to look after your smile. Provide feedback to help us improve our practice. Help our practice grow by recommending us to friends, family and colleagues. Try your best not to cancel appointments. However we do understand that sometimes this can’t be helped. Where possible, please give at least 24 hours’ notice when cancelling appointments to avoid a cancellation charge that will be equivalent to your treatment cost. Pay for treatments when requested: we accept cash, and most major credit or debit cards. We also offer payment schemes should you wish to spread the cost of treatment. Science and technology have radically improved the way our dentists are able to treat us. The wide range of choice available from your dentist means that anyone can have their teeth repaired and improved—really something to smile about. The good news is that to help you meet the cost of any treatment, your dentist can offer patient finance solutions to suit you. Whatever treatment plan is proposed by your dentist, you can easily arrange the right amount of finance to be repaid between 6 and 60 months – whatever suits you best so your treatment can start straight away.